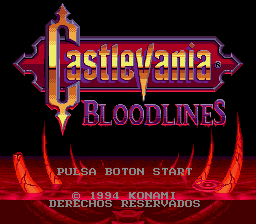 Castlevania: Bloodlines is an action platformer for the Sega Genesis. 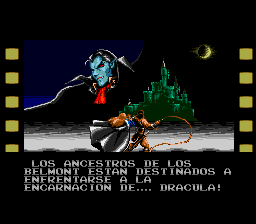 Once again, the Belmont clan is called to defeat Dracula. 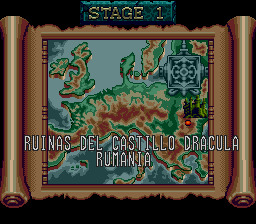 Countess Bartley is trying to resurrect Dracula. 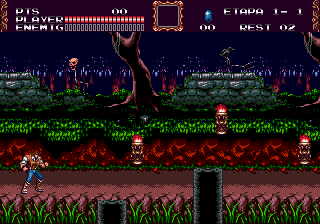 John Morris and Eric Lecarde follow her trail of destruction to try to stop her evil plan. 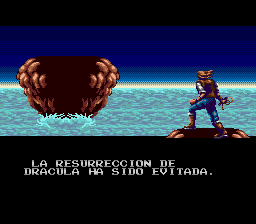 Translation to Spanish for “Castlevania: Bloodlines” for the Sega Genesis/Mega Drive.